You’re all invited to our free star-studded opening celebration which includes a very special Larrakia Welcome. Award-winning hip hop artist Baker Boy will headline this unique event, which brings together many different local artists, community and cultural groups. There will be performances by the NT Dance Company led by Creative Director and local Larrakia man Gary Lang, plus entertainment by local groups who have been working creatively with musicians Shellie Morris and Leah Flanagan. Watch in awe as the night sky is lit up with a memorable fireworks display and flag bearers carry the flag of their own country. The main event starts at 6:30pm, but organisers suggest patrons arrive at the waterfront from 5pm. Melbourne based folk singer-songwriter Mat Morgan has established himself as a respected musician in Melbourne and Sydney. Mat started in Melbourne’s open mic scene in 2014 and is now a full-time musician and songwriter, collaborating with other Australian artists as well as working on his own solo material. His debut EP – The Broken Brain was released on Spotify, iTunes in 2017 and Mat toured the EP to Sydney, Byron and the Gold Coast. Mat launched his follow-up EP -Some of us have feelings in 2018 and toured across Australia and New Zealand including gigs at the Hard Rock Café (Syd), Café Lounge (Syd); Nivara Lounge (NZ); The Drunken Poet (Melb); Bridie O’Reilies (Melb) and the Sounds of Summer Festival (Inverloch, Vic). Mat’s folk inspired music is lyrical story-telling influenced by Passenger, Ed Sheeran, Mumford and Sons and the Lumineers. Unleash your fire on the dancefloor! A celebration of African | Caribbean | Jamaican | Brazilian | French & Spanish reggaeton, ragga & dancehall music. Let the rhythms ignite your body & soul as DJ JEM, Miss Possum and Laydee Loopin fire up the hottest equatorial tracks to get your booty bubblin and your soul sizzling with Fuego! April 26th @ Happy Yess, 9pm – 1am. 27apr8:00 pmBeachfront FiestaLatin Music Spectacular! Inject a little spicy flare into your life as we light up the Beachy dance floor for an exciting night of Latin dance, music & celebrations at the first BEACHFRONT FIESTA! 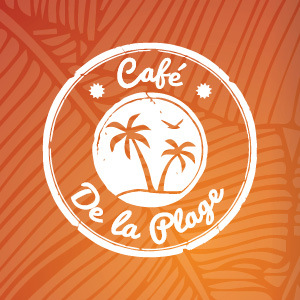 Come dressed in tropical theme for your chance to win a $200 Food & Beverage voucher!! FOLDBACK – a Darwin-based, Northern Territory-wide music magazine, designed and written by creative industry professionals and community members, with a desire to promote the Northern Territory music scene. 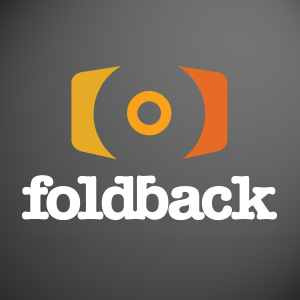 Foldback Magazine Inc. operates on Larrakia country. We acknowledge the Larrakia people as the Traditional Owners of the Darwin region and pay our respects to Larrakia elders past and present. We are committed to a positive future for the Aboriginal community.